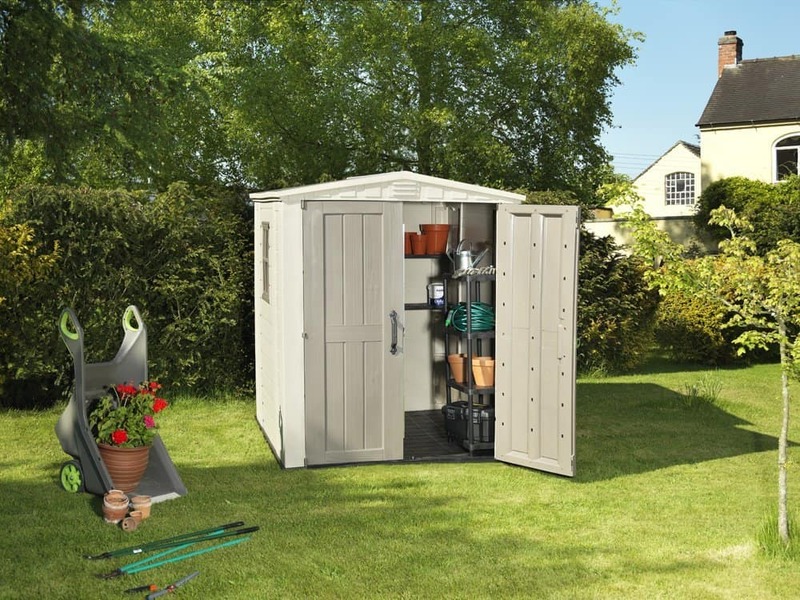 We have reviewed sheds and garden storage solutions from Keter before and we are a big fan of their products. This 6ft x 6ft Outdoor Keter plastic sheds is no exception. 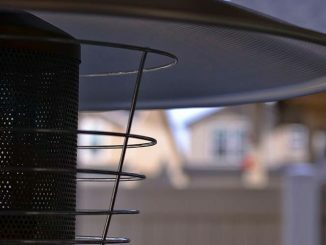 It provides ample storage for most garden requirements, is well lit and ventilated and has a solid base. You can tell from the outset of unboxing this shed the build quality and how it is going to feel once assembled. It feels solid, strong and hard wearing despite the panels being light enough to move around without pulling your back. Keter have thought this shed out well when designing it, with it’s integrated floor it prevents water getting in underneath the shed. It’s window and skylight allow natural light in but without making use of glass which could be smashed by a burglar or child with a ball. The ventilation has been taken care of whilst keeping pests out. Once this shed is erected it, give it a wobble. You will find the only thing that would move is the shed in it’s entirety, it is a well put together solid shell once built. The Keter plastic shed being plastic and slightly more lightweight than some of it’s wooden and metal counterparts we would recommend anchoring it in place. Obviously thats not to say it’s flimsy or lightweight enough to blow around, especially with your belongings inside. 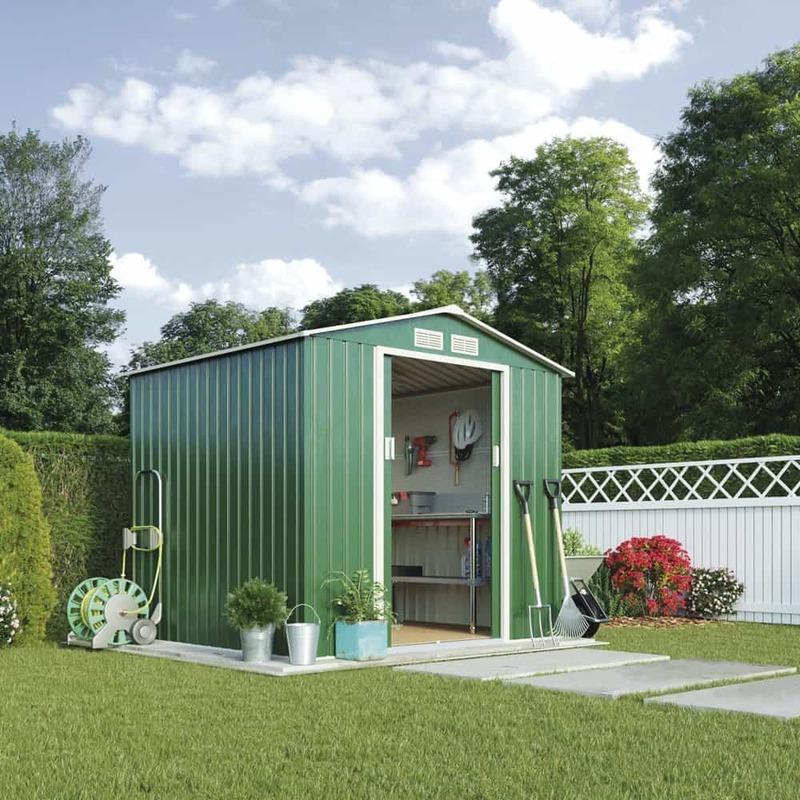 However in British weather we always recommend anchoring sheds in place. Plastic sheds tend to be a bit more resilient than wooden and metal sheds. 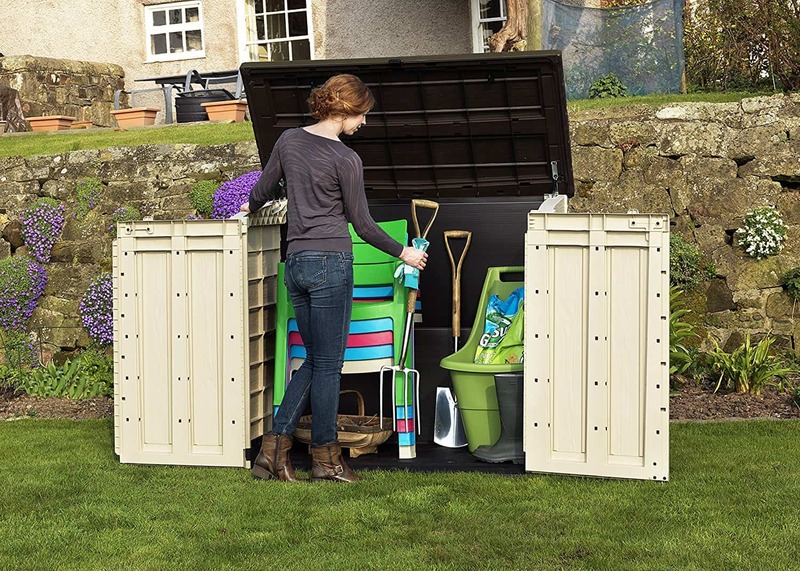 This Keter 6ft x 6ft plastic garden storage shed shows that. 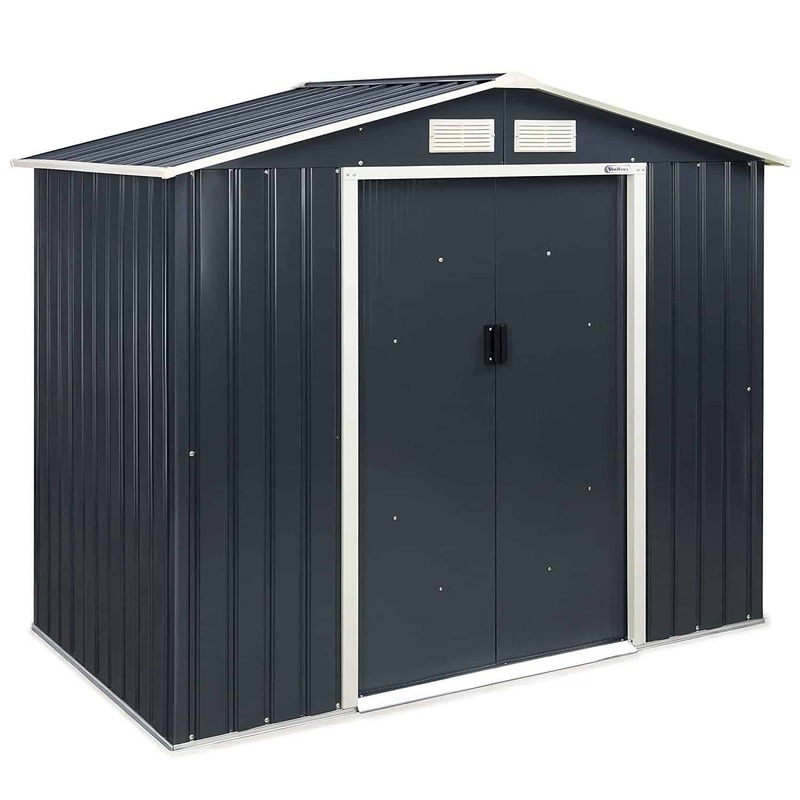 Where a metal shed may get the odd dent or a wooden shed may weaken over time if not treated as it should be. The plastic sheds take on the harsh conditions, accept being bashed with tool bags, lawnmowers and balls being kicked at them far better. 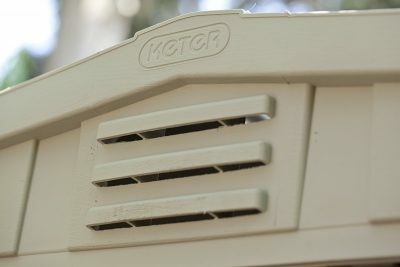 The front of the Keter plastic garden storage shed has a fastening for a padlock. 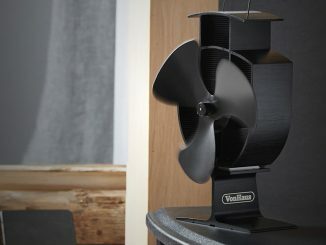 This is a great addition from keter and we would highly recommend you make full use of it. The plastic body that is made use of even in the windows makeup, prevents burglars from simply smashing a window and getting in. 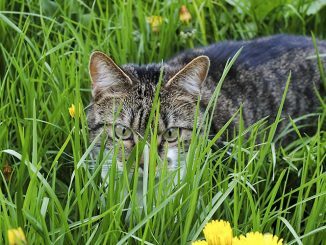 Whilst we all know that if someone is determined to get into your shed they will get in no matter what. As we have said before it is about keeping your shed from being the most attractive offering. Keter offer a 2 year guarantee on this shed. Which we feel is great and of perfect adequacy. It gives you the piece of mind that when investing in a shed that isn’t a sub £100 product your investment is safe. 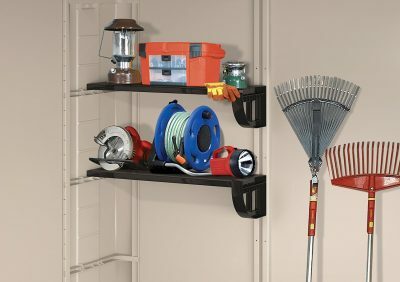 After 2 years you should know if you are going to have issues or not and with it being a plastic maintenance free storage shed it should last you well into the future. Whether you are building a plastic, metal or wooden shed or garden building you need to plan, prepare, allow plenty of time and be patient. Building a shed or garden building of any size requires you to get your base level first, lay out all the components of the shed, check them off against the instructions and allowing plenty of time for construction. But there is more to it than that. 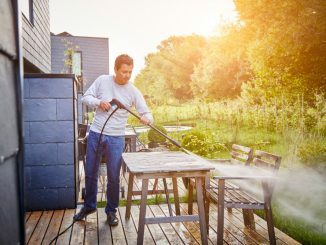 Make sure you are prepared, do you have the correct tools to hand, are they charged if they are power tools, are there any overhanging trees in the way of where your plastic garden shed is going to be built? Once we have the basics down we can start the construction of the shed. We would always recommend a friends help, for moral support, passing you snacks, someone to talk to and someone to hold panels in place while you screw them together. The instructions for the Keter 6ft x 6ft plastic garden storage shed are simple and easy to follow. If you take your time and work through them you should find things slot right into place, no pun intended. The top of this shed stands at 6 feet 10 inches so we would recommend a set of ladders for it’s construction. That along with a screwdriver set, a set of pliers and an impact driver if you have one should help tremendously. Speaking of impact drivers, if you are considering getting one for any DIY related task, a good time to pick one up is when you are looking at a project like building a shed, it will speed things up no end. Our sister site Tools Review has a great review looking at the top 5 impact drivers of the moment. Depending on your level of DIY competence we recommend setting aside around 6-7 hours for this build​. This could be faster could be longer, it is all dependant on your experience level and how fast you work. 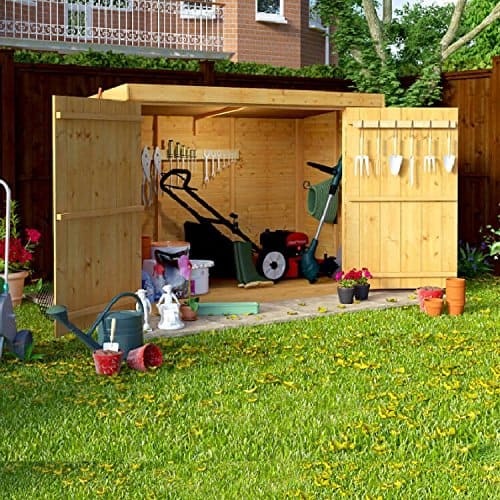 At Garden Shed Reviews we like a traditional wooden shed, the Keter 6ft x 6ft plastic garden storage shed however does make us sway a little on this. It is made to appear like a stained wooden garden shed so fits in nicely in a traditional or modern garden. It has some great features, with it’s ventilation, double lockable doors, natural light from it’s skylight and window, two shelves included for storing your items on. We are impressed and whilst this shed is a little expensive you are paying for a quality build and a well thought out design.